There are already a number of classic operating systems you can access via a web browser 8 Classic Operating Systems You Can Access in Your Browser 8 Classic Operating Systems You Can Access in Your Browser Feel nostalgic? You can still relive some of the operating systems of old. Enjoy these classic operating systems in your browser. Read More . 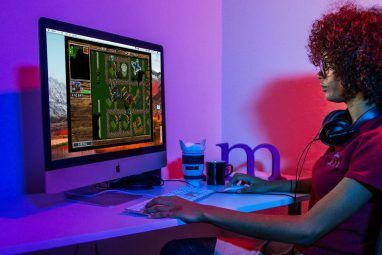 The Internet Archive is responsible for many of those, and now their new collection of classic Mac software should help to scratch your nostalgia itch. 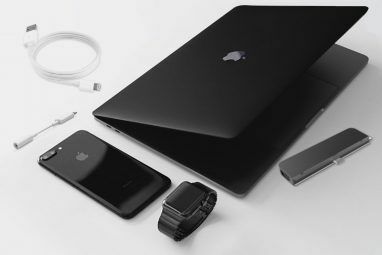 Much of this software comes from the bad old days of Apple, before their storied rise from ruin The Rise And Fall And Rise Of Apple: A Brief History The Rise And Fall And Rise Of Apple: A Brief History The success of Apple indeed lies with their attitude of "Thinking Differently". While the company may not have always been heralded as a success, their strength over the years has come from great vision and... Read More . Let’s take a look at the highlights. You can see the evolution of the Mac design language by comparing each OS’s Control Panels. System 6’s panel is, um, interesting. You can still see the continuity of design that connects the old OSes with the modern Mac. These old operating systems are an interesting curiosity. That said, you are probably going to stick with the modern macOS. In the System 7 vanilla image, you can see an early version of BBEdit. In the collection, you can create your riff on the classic “Hello” from the original Mac demo using MacDraw. The number of patterns achievable with simple black and white graphics is still pretty amazing. If you are interested in the history of computing, this is more than nostalgia. The old productivity apps illuminate the way some apps appear almost entirely formed. You can see Microsoft’s pre-Excel spreadsheet program: Multiplan, which is surprisingly full featured. Although, it is odd that you have to refer to rows and columns by R1 and C1 rather than A-Z and 1-9 that modern Excel uses. Next year, you can go back and do your taxes the 80s way (don’t actually try that, please). The Mac may have popularized the GUI, but the archive includes classic text adventures 6 Classic Adventure Remakes That You Need To Play 6 Classic Adventure Remakes That You Need To Play Read More . The original text adventure game, the one that gave its name to the genre, Adventure is available to play, which includes the infamous “Get Lamp” command. If you are looking for something a bit funnier and later in the text canon, check out Hitchhiker’s Guide To The Galaxy. The game gives you a spot on adaptation of Douglas Adams’ novel. However, it is impenetrable for beginners, and you might spend much of your time dying. Text adventures are interesting footnotes Play Practically Any Interactive Fiction Game With Spatterlight for Mac Play Practically Any Interactive Fiction Game With Spatterlight for Mac Text-based adventures aren't exactly top sellers today. They haven't disappeared, however - a massive online community creates, plays and discusses these games. Unfortunately, when you download a game, it's not immediately obvious what you're supposed... Read More in gaming history. The collection also includes some out and out classics for computer gamers. Many classic Mac gamers still fondly remember Dark Castle, a rather difficult platformer. If you like this older platform style, you can find Prince of Persia as well. Wizardry is one of the first RPGs and has influenced much of the genre. It has got a unique windowed interface that is worth checking out. You can see the influence this game had on later games in the genre. Despite its stature, you might be turned off by the steep difficulty curve. If you do not mind the pain, you can also play the classic Rogue. Another foundational RPG famous for punishing difficulty, and the ancestor of games like the Binding of Issac. Any classic gaming fan is going to find most of the giants of early PC gaming in this collection. You can conquer the world in the original Civilization. There is also the classic puzzle game, Lemmings. However, if you remember the Mac for fond hours wasted in the computer lab at school, you might head over to Oregon Trail. There’s a ton of other games worth exploring as well. Huge swaths of the Mac community fondly remember HyperCard. However, if you came in during the iPod or iPhone era, it might not be clear what HyperCard is or how to use it. A bit of the road not taken, HyperCard represented an easy to learn programming method 6 Easiest Programming Languages to Learn for Beginners 6 Easiest Programming Languages to Learn for Beginners Learning to program is about finding the right language just as much as it's about the edification process. 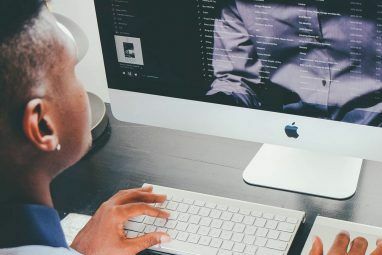 Here are the top six easiest programming languages for beginners. Read More . The collection contains a cross section of what you could make with HyperCard. There is a music notation generator. The program has both a keyboard and standard notation to play around with. There is a trivia game about classic sci-fi comedy Red Dwarf, as well as host of other apps you can explore. Fans of Hitchhiker’s Guide to the Galaxy probably know that Douglas Adams was a rather famous Mac devotee. He created a Hypercard stack called Megapode that you can walk through here. Rather than some zany program, it is a strange calculator for the size of a nest for Megapodes. It is an odd little curiosity in the life of a famous author. Playing with Hypercard might be more interesting, there is a blank System 7.5 system with Hypercard installed. There is not much of the training material included, but this is the original Swift Playgrounds. For some ideas, you can check the YouTube video above for a crash course from the designers. We are awash in a sea of media devoted to Apple 6 Places To Go To For The Latest Apple Rumours 6 Places To Go To For The Latest Apple Rumours Apple has a reputation for closely guarding its secrets and plans, but that doesn't stop journalists and rumour-mongers trying to reveal all. Read More . It is fair to argue the Mac moved to the co-starring role in the last few years. You can relive the days of the Mac as Apple’s golden child via some electronic magazines. 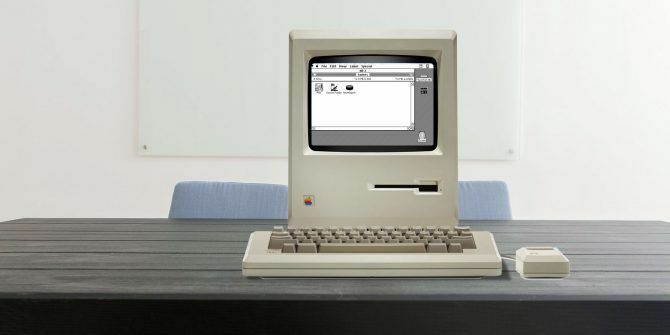 You can check out the 1984 ezine, an early online publication devoted to the Mac. The issue has a review of Mac OS 8.1. Just comparing the system specs to even the most modest modern Mac is astounding. There’s also the Macintosh Electronic Magazine. The second issue contains a review of Hypercard 2.2, so you can get an idea of what the state of the tech was at the time. The DocMaker format for these magazines is probably even more engaging. You can see a page for it on Mac.org. It lacks the glitz and glamor of the current magazines you see on the iPad, but it is a surprisingly easy way to navigate text on a screen. This is a huge collection of software, including images that are collections themselves. Even if you do not have the full on nostalgia for this era, there’s enough here to be curious about. Once you have explored this, the Archive also has an extensive collection of old Apple II software to dig into. What is your favorite classic Mac memory? Let us know in the comments. Explore more about: Apple, Mac, Nostalgia, Retro Gaming. That was among the urban legends of games when I was a kid. The Sierra games in general were pretty great. I think Rise of the Dragon is one of my best gaming memories, but I refuse to go back and play it for fear it's awful.